As we finish off the turkey, it’s now time to think about Christmas! Check out this great list over on Frugal Freebies and Deals on 100 Days to Save on Christmas. 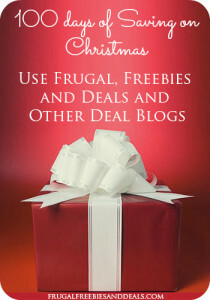 This may be just the trick to frugal gifts this year!